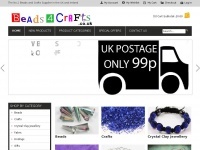 Keywords: our Aim Is To Create Beautiful Hand Crafted Jewellery Using the Finest Quality Materials. 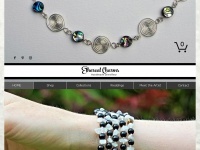 Abalone Shell and Freshwater Pearl are some Of our Favorites. 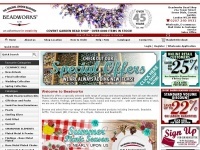 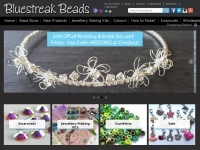 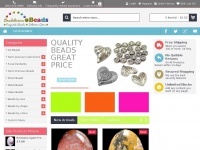 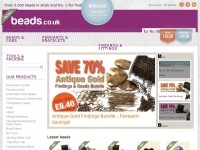 Beadworks.co.uk - Beads, Glass Beads, Swa­rovski, semi-pre­cious ..
Bluestreakbeads.co.uk - On­li­ne Bead Shop | Swa­rovski Beads | Je­wel­lery Ma­king ..
Beadaliciousbeads.co.uk - Beads Cabo­chons & Pen­dant | Semi pre­cious Gemsto­ne | ..